Earlier this year, the World’s longest underwater cave system was discovered in Tulum, Mexico. More recently, an archaeological mission to the site has revealed a stunning site frozen in time by the water and sediment. Researchers from the Gran Acuifero Maya (GAM) exploration and preservation group presented ancient relics recovered from the site, including fossils of a type of ancient elephant, giant sloths and a shrine to a Mayan god. It’s believed that desperate animals ventured into the caves in search of water at times of severe drought, some of which then became trapped. “It’s very unlikely that there is another site in the world with these characteristics. There is an impressive amount of archaeological artifacts inside, and the level of preservation is also impressive,” Guillermo de Anda, an underwater archaeologist, told a press conference earlier this year. 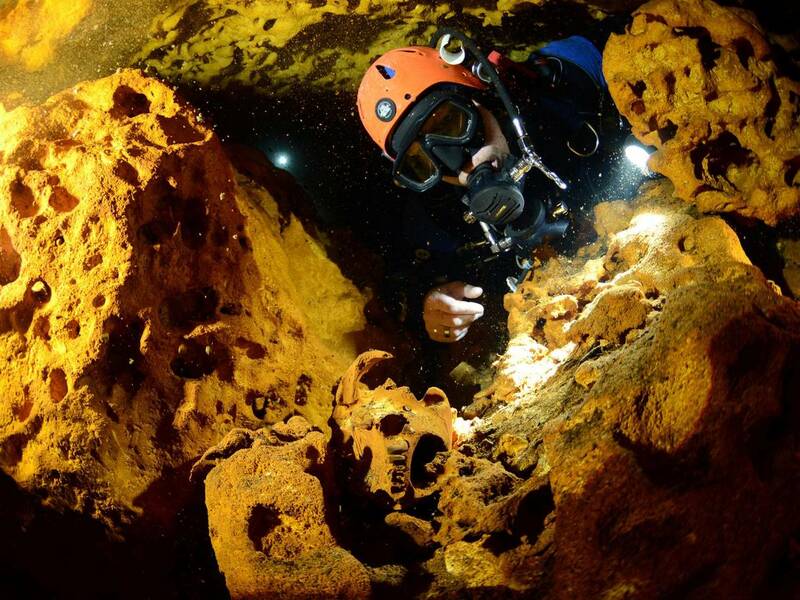 Two networks of underwater caves, known as the Sac Actun and Dos Ojos, totalling 350km (217 miles) in length were discovered in Mexico’s Yucatan peninsula. They were found to intersect at a natural pit or sinkhole, known as a cenote, in a jungle area of the coastal town of Tulum. It is hoped that the remains found within these networks will help scientists develop a picture of the cave’s history, which they believe dates back more than 2.5 million years to the Pleistocene era. You can own property in this ancient Mayan land! Click here to see our homes for sale in Tulum. in Downtown Beachfront, Playa del Carmen Announcing a price drop on A2 3 bedroom Beach condo in Luna Encantada, a 1626 sqft , 2 bath , 3 bdrm single story. Now FOR SALE USD675,000 . Recently reduced by 40,000 usd. Wow. Live in one floor, rent the other. in Rivera Tulum , Tulum Announcing a price drop on Riviera Tulum Mayan House, a 2153 sqft , 3 bath , 3 bdrm 2 storey. Now FOR SALE USD199,000 . Best Deal on the Market! in Downtown, Playa del Carmen Announcing a price drop on B-301 Torres del Carmen Downtown Condo for Sale, a 950 sqft , 2 bath , 3 bdrm single story. Now FOR SALE USD125,000 . Best deal on a 3-BR Downtown! in Grand Coral, Playa del Carmen Announcing a price drop on D207 Lorena Ochoa Exclusive Beachfront Gated Community, a 2 bath , 2 bdrm single story. Now FOR SALE USD324,000 . Great price for these amenities! • 1162 sqft , 2 bath , 2 bdrm single story – FOR SALE USD199,000 . Excellent Pricing in this Area! 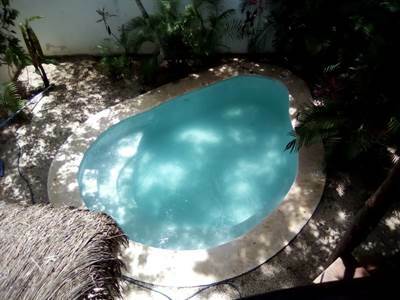 Lovely 2-bedroom home for sale in Tulum. Located within the Riviera Tulum master-planned community, this home for sale in Tulum offers security and great ROI while providing its owners with a cozy home in the Jungle by the Caribbean Sea. Featuring a private pool, private rooftop terrace with “palapa” roofing, fully-equipped kitchen, 2 bedrooms and bathrooms, air conditioning, and many other great amenities, this home for sale in Tulum is perfect for small family or for those seeking to invest in a vacation rental in an area with high demand. Don’t let this opportunity slip by! Call us now for more information or to schedule a showing at your convenience. Brand-New Oceanfront condos for sale in Akumal in Punta Sur is Sold! 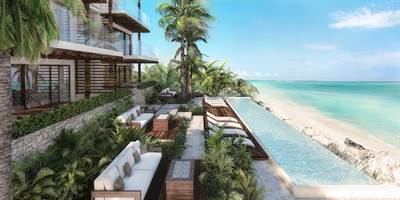 in Punta Sur The single story at Brand-New Oceanfront condos for sale in Akumal has been sold. Close to Downtown Playa and the Beach! in El Cielo, Playa del Carmen Announcing a price drop on D3 Spacious 2BR Condo in Gated Community near the Sea, a 1152 sqft , 2 bath , 2 bdrm single story. Now FOR SALE USD168,000 . Fully-Furnished! Why Buy a Condo When You Can Buy a Home? Featuring a private rooftop terrace with “palapa” roofing, fully-equipped kitchen, 2 bedrooms and bathrooms, air conditioning, and many other great amenities, this home for sale in Tulum is perfect for small family or for those seeking to invest in a vacation rental in an area with high demand. 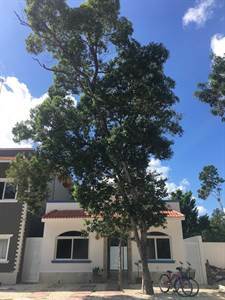 • 1027 sqft , 2 bath , 2 bdrm single story – FOR SALE USD198,000 . Small Price, Big Benefits! 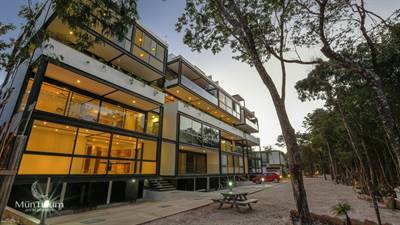 New, modern 2-bedroom condo for sale in Tulum, Riviera Maya, Mexico. This condo for sale in Tulum is as close to the Mayan Ruins as it can be! 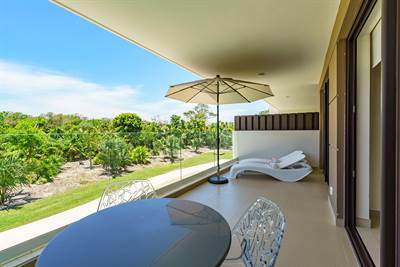 Located in the heart of Downtown, this modern condo for sale in Tulum is just a short bike ride away from the best beaches in Riviera Maya as well as Tulum’s best restaurants and shops. The living room and dining room offer an open space concept. Along with the kitchen, all 3 spaces share a view of the terrace. 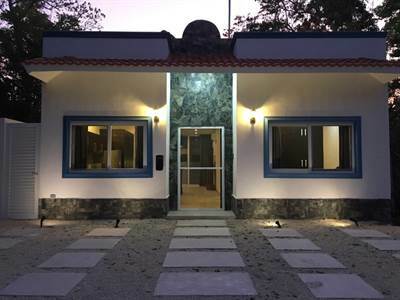 Mun Tulum is a small complex with just 8 houses and 12 apartment units conveniently located very close to Highway 307, still tucked away in the jungle. 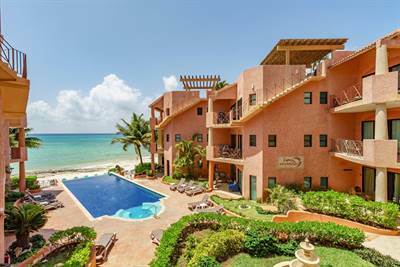 This condo for sale in Tulum is a true turn-key investment opportunity. 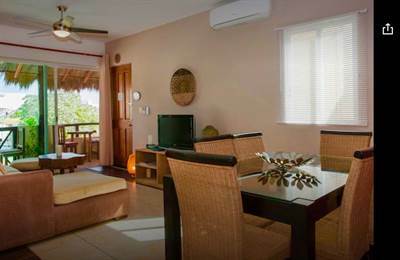 Its privileged location makes it the perfect choice as a second home or a vacation rental. There aren’t many condos for sale in Tulum that offer such a great combination of location, amenities, and pricing. 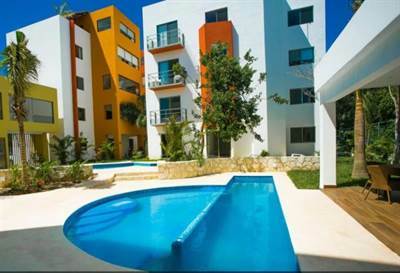 Call us now to schedule a showing, or for more information about this condo for sale in Tulum.